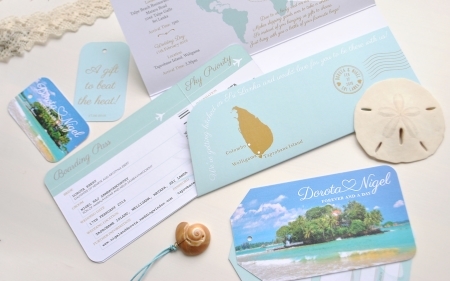 Kate Davies is a wedding stationery designer specialising in unique designs for people getting married abroad or having travel themed weddings. 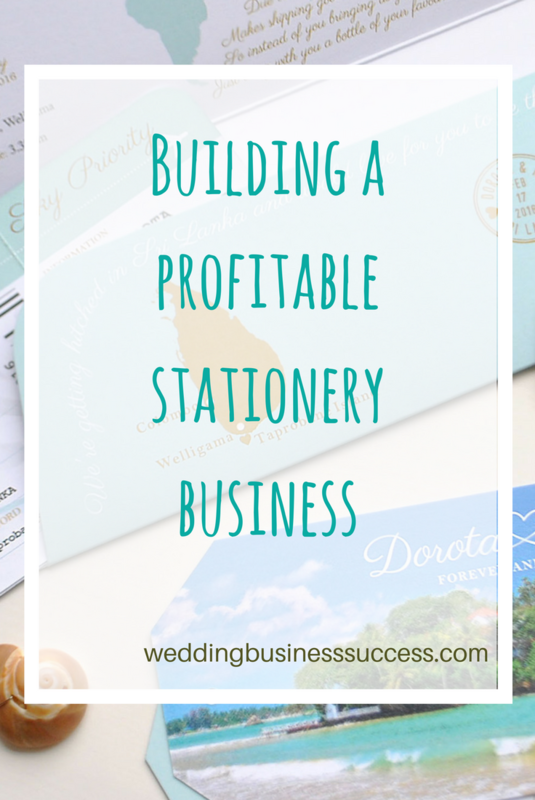 She started her business – Destination Stationery – almost by accident. Here she tells her story and share her top tips for succeeding in this very competitive market. 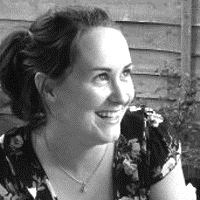 I started full time back in October 2009 although I was working on the website and designs prior to that while working full time as a project manager at a printers. 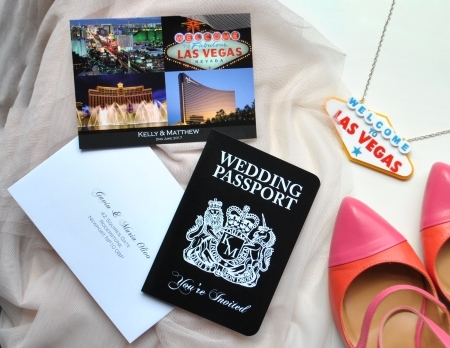 It’s a bit of a long story but here goes, a very good friend of mine runs a website which offers advice and contacts for people planning to get married abroad. 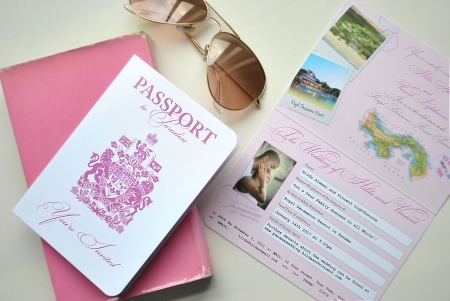 She mentioned that she occasionally got asked about wedding invitations specifically for people getting married abroad. 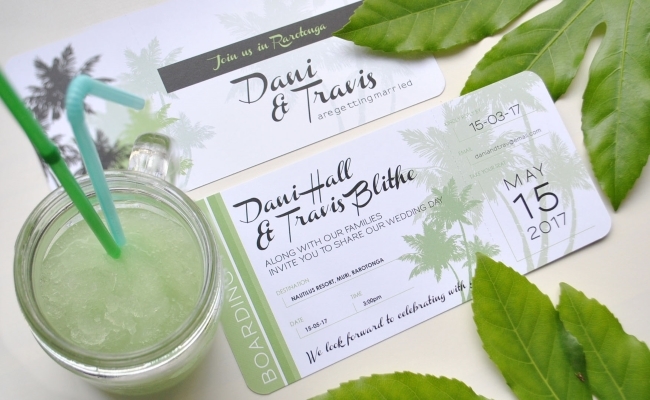 I guess the visitors to her site were looking for something different to traditional style invitations. I’m a graphic designer and at the time I was on maternity leave after having my son. I thought it might be fun to mock up some designs she could put on her website as ideas for couples. 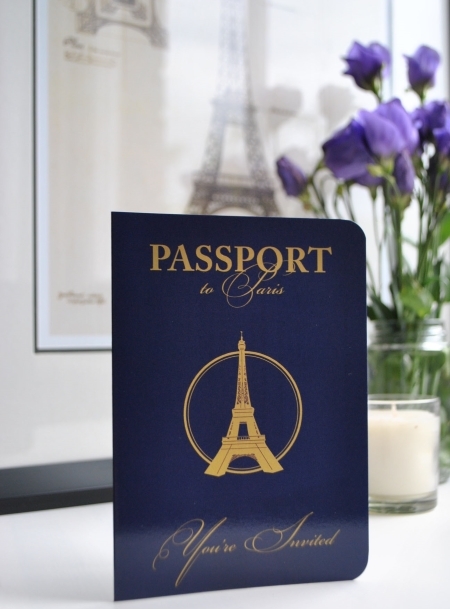 Things like Ticket Invitations, Passports, Luggage Tags etc. What started out as a little fun idea very quickly developed into more and more enquiries. Once I was back at work full time (and missing being able to spend as much time with my son) I decided to create a standalone website selling the designs. It took off from there! I guess originally it kind of chose me. I had no intention of setting up a business and the idea of working for myself (or even being freelance) never really appealed to me. After having my son I suppose my view on working just shifted and the more I did it the more I got excited by it. My day starts at around 10am after I’ve dropped my son at school and walked the dog. I try to start with my most important job, I find if I open my emails straight away I can quickly become distracted by them and half the day goes by without me achieving much. I do spend a good portion of the day replying to emails which are either initial enquiries or amendments to projects I’m working on. If a job is ready for printing, I’ll send the files off to my printers or if a job is ready for shipping I’ll package that up and book a courier to collect. It really varies from day to day, but generally speaking, I try to spend some time updating my website (new designs, blog type posts etc) as well as obviously any design work needed for current projects. I usually finish at 3pm to collect my son from school so it’s a short working day and I have to try to make sure I’m as productive as possible. My customers find me organically though Google and Google Images. I’m ranked well for my main keywords and key products so if you’re looking for the type of stationery I design you’re likely to find me yourself. I’ve never paid for any advertising and currently don’t pay to be part of any directories etc. My best moment so far, that’s a tricky one as I really love my job and generally have lots of best moments, anything from a lovely email when a customer receives their finished invitations to flowers unexpectedly arriving from a couple who wanted to say thank you. Last year I did have the pleasure of working with a member of the Royal Family! I was emailed by the PA of Princess Eugenie (who’s cousin to Prince Harry and William), she was having a 25th birthday party and wanted some special invitations made. Although I didn’t speak to or communicate which her directly it was lovely to get updates via her PA about the various proofs we worked on. It was quite exciting to know my invitation would be seen by the various celebrities invited to the party. In the end the project grew from the initial invitation to menus, stickers and some other items for the event itself. I think the only times when I might have a worst moment in my business is if I spot an error after printing. I have a process whereby the customer approves the final proof before paying the balance. At the time I point out that any errors found after printing will result in an additional charge to the customer for the reprint. I have to cover myself to make sure that everything I send to print has had final approval from the customer and I help out by sending them a proofreading checklist. Occasionally things get missed and that always makes me feel terrible, even if it’s not anything I could possibly know was incorrect (such as a phone number or the spelling of a name). 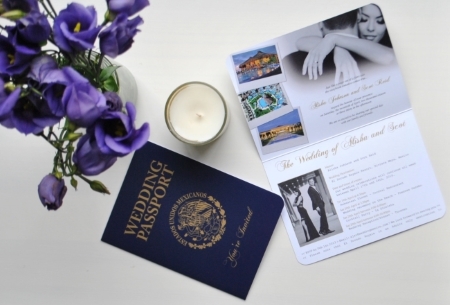 I do remember once, pretty near to the start of my business when my husband was looking at a Passport Invitation I’d designed and had just collected from the printers. He spotted (straight away I might add) that the town name they had included for their RSVP information was incorrect. They had meant to write Carmarthenshire (which is a county in Wales) but had accidentally written Carmarthenshite! I felt terrible having to ring the customer and explain what had happened but they actually had a laugh over it and very nearly decided to send it out like that anyway. One thing I wish I would have taken into account before starting out is all the various jobs I would be responsible for. Of course I realised I would be designing and communicating with customers every day but I didn’t think about all the other jobs. The accounting, the marketing, the website updating, the social media stuff. Not only do all those other jobs take time and effort they are not necessarily my strengths or areas of expertise. Creating my website, for example, has been a massive learning curve and it has been a journey I’ve enjoyed. Would I have got to where I am faster if I’d employed someone to build it for me, possibly, but I don’t think I would be as in love with is as I am (and it would have cost an awful lot too). I guess the main point is appreciate that whatever business you start there will be roles within it you’re not good at or don’t like. In the early days you’re not likely to have the budget to be able to pay someone else to do those jobs so initially you’re just going to have to get on with it! I’m currently revising my business plan. One of the jobs which I’ve been terrible at is really keeping track of the numbers. Working out which jobs are profitable, who my target customer should be based on previous projects, conversion rates of leads etc. 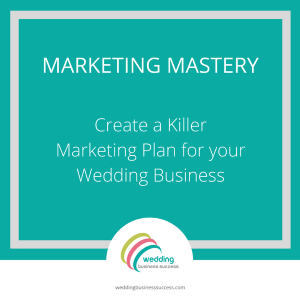 I run a profitable business but there’s definitely room for improvement and I’m at the early stages of putting some of my new business plans into action. I guess my tip applies to anyone starting out in business on their own. It is to talk to people, find people who will follow along with your journey. People who you can bounce ideas off so you’re not stuck alone with your own thoughts. Find an accountability partner if possible, someone who will make sure you’re ticking off those things on your ‘to do’ list. This is something I only recently started to implement myself and it’s making a huge difference to my productivity.